Do you want to get out and enjoy the cool crisp fall weather, but you don't want to blow your budget? You're in the right place! I'm a little obsessed with fall. What I don't get excited about though, is spending a ton of money and watching my big financial dreams drift further and further away. 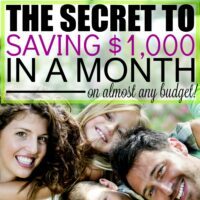 Over the years, I've learned how to have an amazing fall filled with fun stuff for friends, family and our kids for just a few dollars. 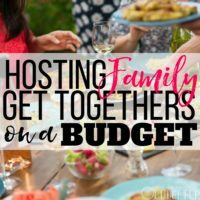 Each party, event, outing, or experience will cost you less than $15 for your entire family. Many of them cost less than $15 or are completely free. This is a pretty large list, but it's not exhaustive by any means. 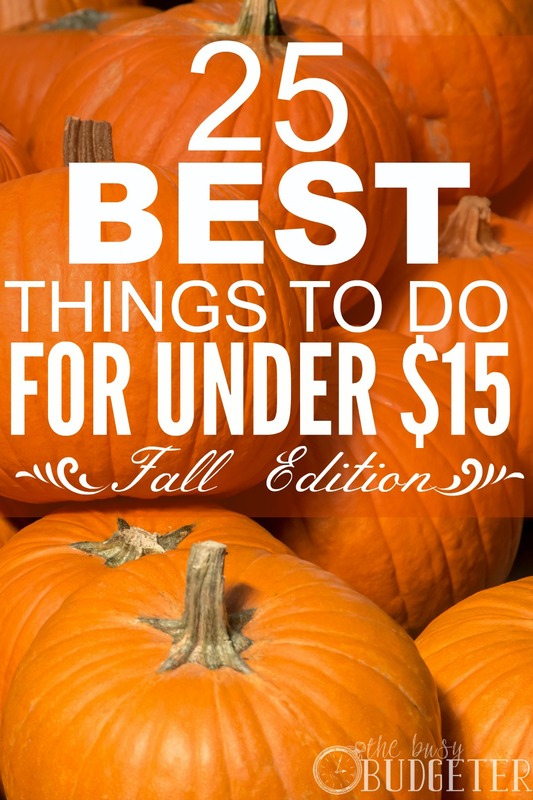 How to use the “Best Things to Do in Fall” list? The best way to handle this would be to pick one or two of your top favorites (if you have older kids, have each of them pick something as well), and schedule them in to the next two months. Life gets really busy and I find that if I don't schedule in fun (I know how silly that sounds), it's very possible that life will get in the way and we'll forget. When you choose just a few important things, then those things become traditions in your family. If you were lucky enough to grow up in a family that had traditions, then you know that traditions are one of the coolest things that kids can have. Anticipated all year long and remembered fondly for years and years, your kids will one day grow up and carry on your traditions with their children because they want their kids to have those wonderful memories as well. Pick a few traditions off the list and make it a point to do them every year. Grab your family and head to the nearest orchard. Pack a picnic to bring with you. For about $15, you can pick a peck of apples, enjoy the scenery, and spread out for a counrty picnic. Gathering up the family to pick out the perfect family pumpkin is a great way to spend the afternoon. Pumpkins in our neck of the woods are 50 cents per pound and include a free hayride. Pack a picnic to take out there as well. If you have a ride on lawn mower at home with a wagon (or is my dad the only one? ), then you can DIY this easily with a hay bale spread out in the wagon. If not, there are tons of hayrides offered from October 1st straight through to Halloween. You can do a simple google search or you can search for “blogger (insert your town here)”, to see if you have a local blogger that covers events like this in your area to keep the community up to date. We're lucky enough to have Prince William County Moms, here in Virginia. Check out the local park or trails, even small ¼ or ½ mile loops (for those that aren't the outdoorsy types) are really fun in the fall. You can check out the colors on the leaves and just enjoy the fresh air. Anyone that thinks that picnics on the lake is just for summer is nuts. Fall picnics are the best. Grab your beach chairs, a blanket (we love these because of the plastic underside), and load a bag with good books, journals, and cards. Most places still have access to bathrooms up until the end of October (check first if you aren't sure) and the beaches are practically empty. If you have a local zoo with good prices (we have the National Zoo, which is free), or a small petting zoo, this is a great option! Animals are more active in the cooler temperatures and you won't overheat walking around. Bundle up in layers, bring a picnic packed into a back pack and enjoy the day! Blustery fall weather is absolutely perfect for flying kites! This can be anywhere from your backyard to a park. Combine it with another outing to make a day of it. Hint: Make sure you grab an extra large spool of string to make flying it easier. They're crazy cheap and will make your kite experience about a million times better! Depending on your city, you can find everything from haunted hay rides, haunted houses, and walking ghost tours. Many of these are popularly held by non profit organizations like schools, churches and fire stations. Grab a 3 lb bag of apples (usually $2.00 at Aldi), a bag of caramels and toppings such as chocolate, nuts and sprinkles. Invite friends over to make their own caramel apples. Serve a jug of warm cider and chat around the table. If you have extra in the $15 limit, grab extra ingredients so friends can eat one there and take another home with them wrapped in plastic. You know how you usually just take the kids around town for a half an hour or so? What if this year you went completely nuts. Like 3 hours of non stop trick or treating, elaborate (but cheap and homemade) costumes and organizing a candy trading party at your house afterward! Keep in mind I have a toddler so this sounds fun to me, but I'll bet I change my mind when I have older kids. If you've never seen a trunk or treat, you're in for a … well, you know. Buzzfeed has a great compilations of trunk or treat wins… Your family can do a really cheap creative one on stuff found in your house then spend the $15 on candy to fill it with. Bundle up, pack a jug of hot cider or cocoa and a really warm blanket and take the kids to see a local football game. Tickets are cheap and it's a great way to support your community. Surf Pinterest for ideas and spend your $15 on cheap wreath frames and a mini hot glue gun and glue sticks. Head out and gather everything from sticks to acorns, pine cones and leaves and make wreaths from them. We did one last year made entirely from acorns, and that wreath must have weighed 5 pounds! Imagine a fall camp-out with s'mores, apple campfire packs, bonfires and hot cocoa. (If you happen to live near Mt Rogers, Virginia this is my favorite place to do this- the colors are amazing and they have free-roaming miniature ponies walking around that you'll see on your hikes). A night at a campground is usually $8-12 and is a great way to spend the evening. You'll need a tent and really warm blankets (it'll get super cold at night). Make sure to pack clothes in layers. This is always my favorite time to camp though. A big bonfire going all evening, s'mores, hot dogs and apple pies in a pie iron. Long walks in the woods, rummy by the fire… fall perfection. Invite friends over to carve pumpkins and roast the seeds. You can pick up a few carving knifes at the dollar store and then grab a giant jug of apple cider to serve. Depending on ticket prices (some are extremely high), corn mazes are a fantastic fall tradition! Research first though so you don't end up being the guy that calls 911 when he can't find his way out (seriously, that's happened). Promise the best leaf jumping pile ever and spend the afternoon raking into a monster leaf pile for the kids to jump in. Then bag it up or compost it. Two birds, one stone. 18. Make sure you bob for apples at any party you host! If you're hosting a fall party, make sure to included bobbing for apples on your list. A clean bucket and a bag of apples is all you need. Germaphobe? Me too! Hanging apples on strings from a tree is a similar game but doesn't require you to put your face in a tub of others' drool. Pick a football night, have everyone pick teams, and make bets. Just bet things like cookies and freezer meals not the title to your truck. 20. Make caramel corn, kettle corn, or peanut brittle. Super cheap ingredients, fun to make for the whole family and something you can add to your picnic. 21. Take a drive for apple cider donuts at a local apple farm. If there's one thing worth paying for in the fall, it's apple cider donuts! Luckily, you can get a ton of donuts for $15! Invites friends over for dinner and have everyone bring a dish that incorporates pumpkin. From pumpkin ravioli to pumpkin spice cookies. Have friends come over to throw together 10 crock pot freezer meals in an hour. Guys entertain kids in the back yard and girls cook. Everyone gets camaraderie and 10 nights of not having to make dinner. Score! Keep your eye on Living Social and Groupon for fall experiences under $15. Every city is different in what it brings to the table. We've found everything from zombie apocalypse games to stargazing trips on there. Do you have a fall tradition? Tell us about it! I am getting super excited for fall by reading this list! I love your tip about picking a couple of activities but then to schedule them! I always have big plans with fun seasonal things to do but I never seem to end up actually doing them. And you are SO right about finances during the fall. 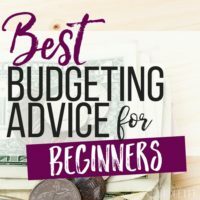 It can be tricky to stay on budget with all the fun things going on! Thanks for the advice! Brittany recently posted…Get Your Shine on Link Party – Delicious and Fun! It makes it so much easier to know you’ll actually get the important things in. I figure, if meetings are important enough to schedule then so should my family. We love going on leaf walks in our family. Each kid is given a small bag to put their treasures into. Then we head off to a park, walk the trails, and add interesting leaves, rocks, or other items. When we get home, we’ll often make a collage or leaf people. Fun, free, and simple! Aw! I love this idea! What a great tradition! Ooh! But what an exciting move! I have a friend that just moved to Seattle and I’m so jealous! Wow! Impressive list. I didn’t know you can have so much fun with only 15 dollars. There is one thing about kite string, though – I tried it myself and it was not that great. 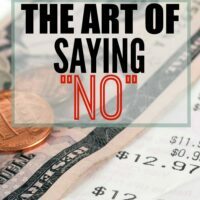 It is OK if you are short on money, but there are much better options! Deanna recently posted…Best wind kites of 2017 – Find yours today! Bonus: Save up to 86%.